Story collections, an often underappreciated literary cousin of novels, are experiencing a resurgence, driven by a proliferation of digital options that offer not only new creative opportunities but exposure and revenue as well. I don’t know about that Internet claim, but those of us who were paying attention already knew great things were happening with the short story. Consider the Story Prize. Take a look at the blog posts by authors who were nominated for this coveted award in 2012: Index of Blog Posts. The list of 2012 story collections is mind-boggling, including some really terrific books by both established and emerging writers. 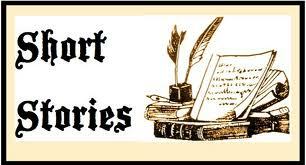 For years, short story writers have been told by agents that story collections don’t sell. Readers don’t buy them (except, presumably, for other writers of stories), so publishers don’t publish them, so agents won’t represent them. No writer I know was ever convinced by this argument, but there wasn’t much we could do about. Agents were/are the gatekeepers to the big publishers, and so there was cycle that fed on itself. Fortunately, though, there are some small presses that produce some excellent short story collections. Press 53, for example, which published both of my collections, specializes in story and poetry collections. I’m hopeful that, if it’s true about the story collection resurgence, that readers look for titles beyond the big publishers. I am glad about the resurgence, if at all. Some of the stories I have read recently are wonderfully crafted and made me buy tonnes of collections, Saunders and Lydia Davis being my current American favorites.